This exciting 16,822 SF mixed-use project sits adjacent to Bedford Square and just steps from Main Street in Westport. 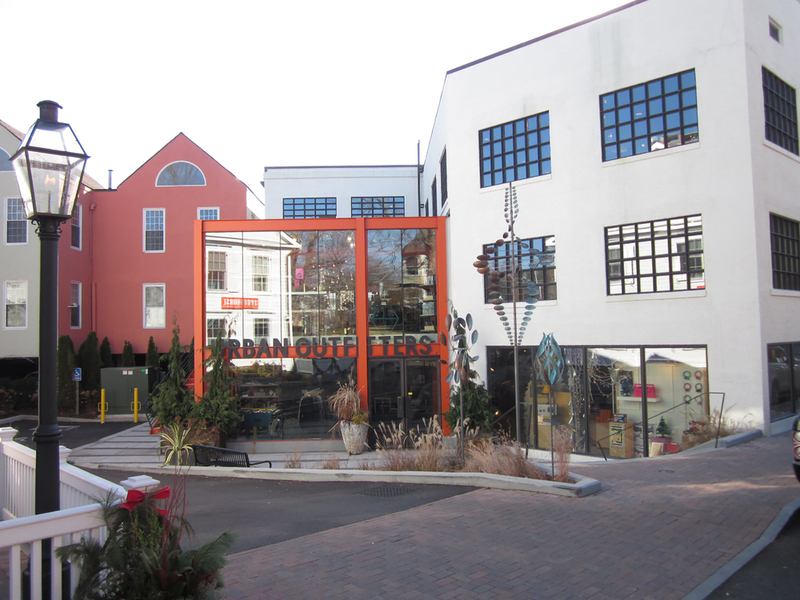 The property is comprised of two separate buildings; the first is a dramatic 11,572 SF Urban Outfitters clothing store with nearly 60 feet of frontage on the Post Road and twenty foot ceilings. The second is a refurbished historic house on Church Lane, originally built in 1802. It has been relocated 8 feet closer to the street and converted into a 3,400 SF two-level restaurant, Spotted Horse Tavern plus 2,100 SF of class "A" office.